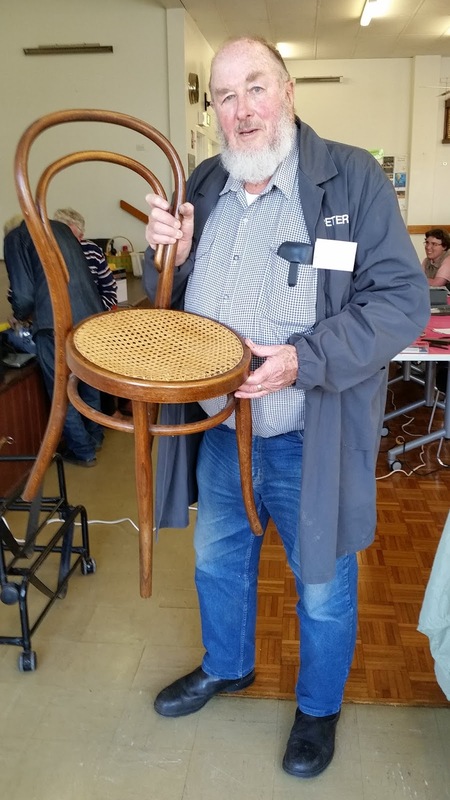 The Unley Repair Cafe held monthly (on the last Saturday of the month) at Clarence Park Community Centre would not be successful without the many volunteer skilled workers. Most are Unley residents. When I took my broken chair to be repaired I was assigned to Peter Moors. It took a while to remove the broken screw. The rest of the repair job went quickly. Here's a photo of Peter Moors holding the repaired chair.